The TemplateRuntime interface provides visual metadata to AVS-enabled products with GUI support. These display cards are used to describe or enhance a user's voice interactions. Metadata is provided as structured JSON and should be bound to templates that adhere to design guidelines for each supported device type. 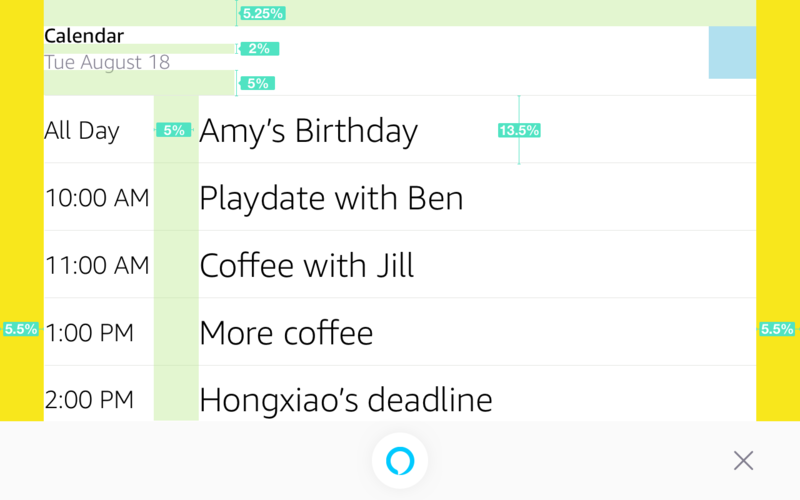 For screen-specific design guidance, see UX Design Overview. This diagram illustrates the high-level message flow for delivering visual metadata to an AVS-enabled product. A user asks, "Who is Usain Bolt?". Their speech is captured by your product and streamed to AVS. A Speak directive that instructs your client to play Alexa TTS. A RenderTemplate directive that instructs your client to display visual metadata – in this case, information about Usain Bolt. 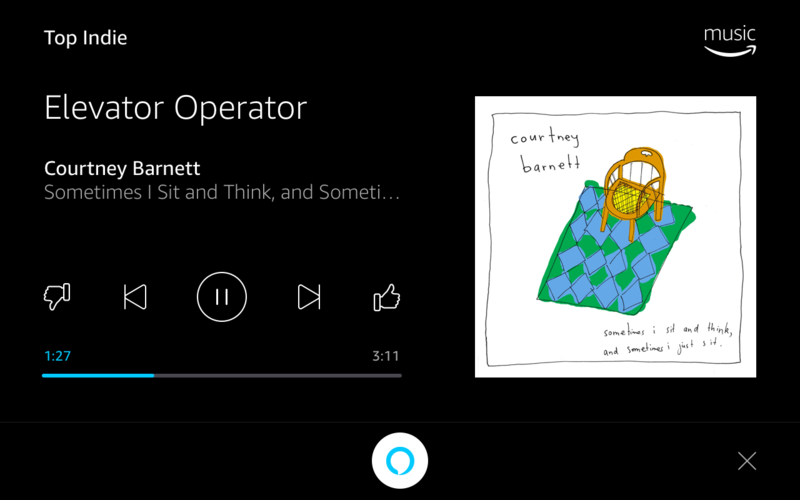 Playback of Alexa TTS starts. The RenderTemplate directive is rendered immediately (and if possible, in tandem with the Speak directive) in a separate thread. 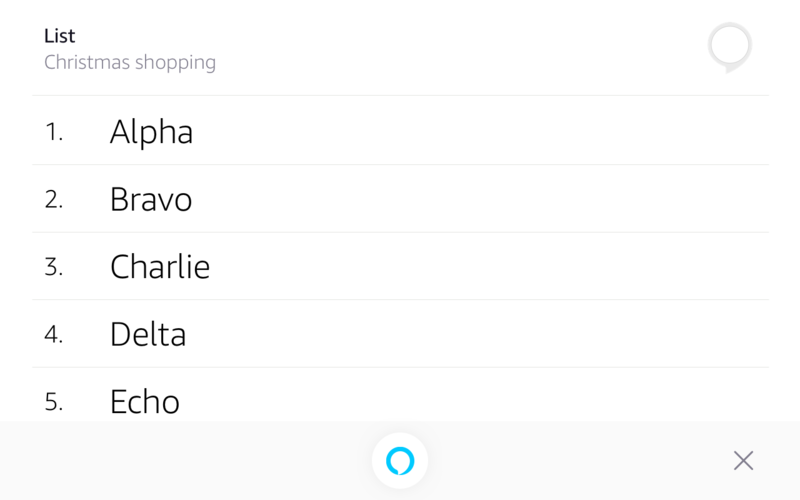 Your client informs AVS that your product has started to playback Alexa TTS by sending a SpeechStarted event. 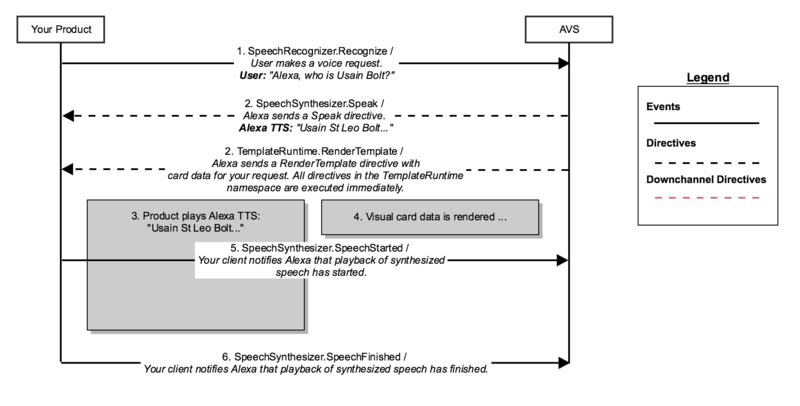 When playback of Alexa TTS finishes, a SpeechFinished event is sent to AVS. Immediately execute directives without a dialogRequestId on a new thread. Immediately execute RenderTemplate directives on a new thread. Place directives with a dialogRequestId in your queue. Directives in the queue should be picked up on a separate thread and handled sequentially. Play directives and associated RenderPlayerInfo directives must be in sync. Unlike RenderTemplate, the directive should not always be rendered immediately, but should match the sequence of Play directives. For example, after sending PlaybackNearlyFinished, if you receive a new Play directive and RenderPlayerInfo directive these must be added to the queue and handled when the currently playing track has finished. This means that display card implementation must be aware of playback state, such as playing, stopped, or paused. To use version 1.0 of the TemplateRuntime interface, it must be declared in your call to the Capabilities API. 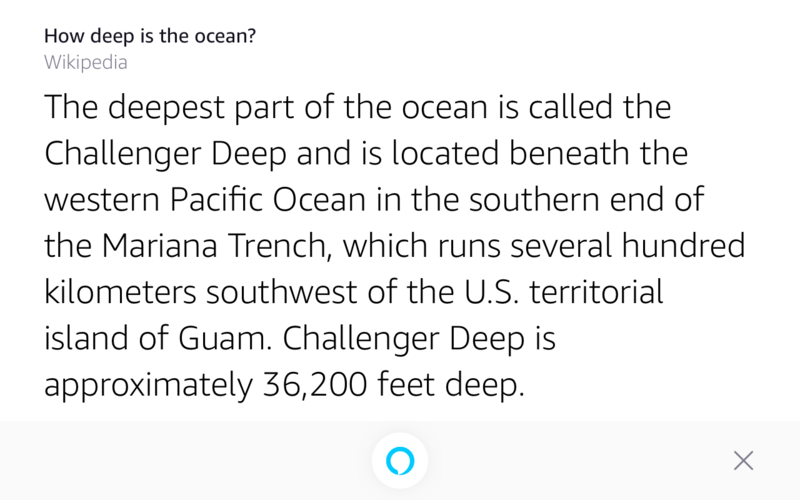 For additional details, see Capabilities API. The Render directive instructs your client to display visual metadata associated with a user's request. 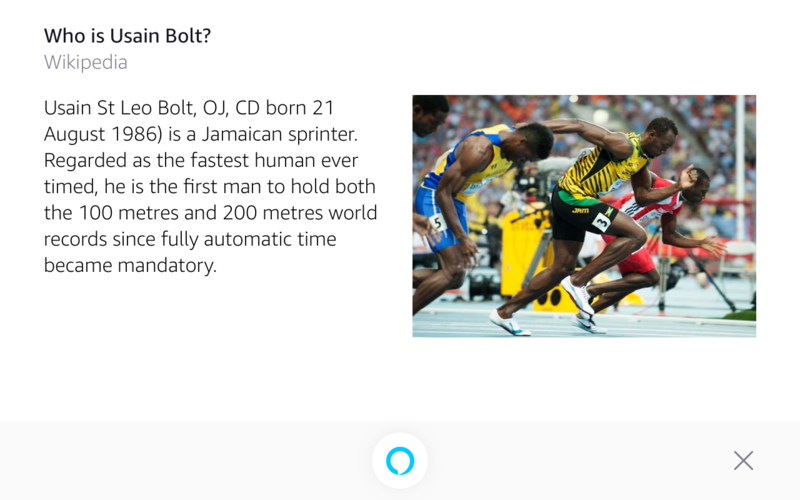 For example, when a user asks Alexa, "Who is Usain Bolt?". In addition to sending a Speak directive, AVS will send a Render directive with visual metadata that your client will bind to a template and render for the end user. BodyTemplate2 A template with support for body text and a single image. Wikipedia entries with images. Important: Each template type has unique payload parameters specific to the content your client must render. 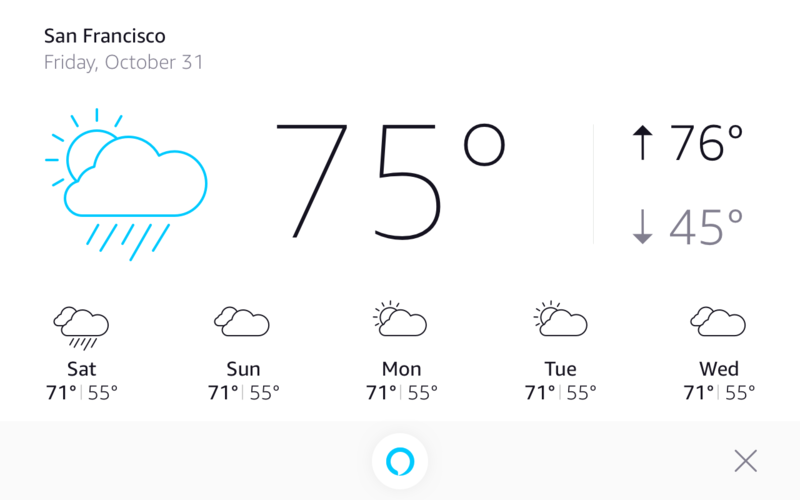 WeatherTemplate is a semantic template for rendering the weather forecast. The RenderPlayerInfo directive instructs your client to display visual metadata associated with a media item, such as a song or playlist. In addition to sending a Play directive, AVS will send a RenderPlayerInfo directive with visual metadata specific to an audio content provider that your client will bind to a template and render for the end user. Important: Now Playing visual metadata must be rendered to the specification provided in our UX Design Overview. 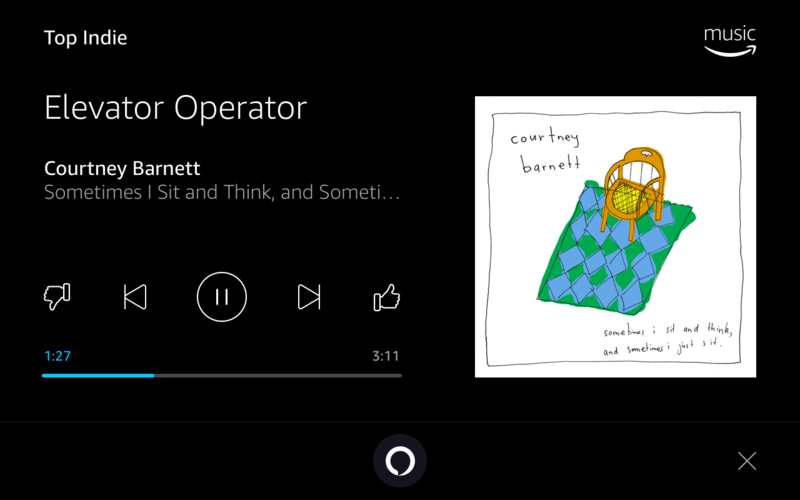 Note: Navigation controls vary by content provider. See UX Design Overview for additional information. BUTTON SKIP_FORWARD ButtonCommandIssued The control is specified in the event payload. BUTTON SKIP_BACKWARD ButtonCommandIssued The control is specified in the event payload. TOGGLE SHUFFLE ToggleCommandIssued The control is specified in the event payload. TOGGLE LOOP ToggleCommandIssued The control is specified in the event payload. TOGGLE THUMBS_UP ToggleCommandIssued The control is specified in the event payload. TOGGLE THUMBS_DOWN ToggleCommandIssued The control is specified in the event payload. Important: Content providers are only required to send the image source.url. All other fields are optional for content providers, however, your client should be prepared to handle these fields if present. Please Note: sources is a list of images and it is possible for this list to be a single source or multiple sources for the same image. There is no guarantee that multiple sources will be provided. Provides each supported enumeration of size. X-SMALL Displayed within x-small containers. SMALL Displayed within small containers. MEDIUM Displayed within medium containers. LARGE Displayed within large containers. X-LARGE Displayed within x-large containers.